We have been providing the full spectrum of display services for over 8 years, making our knowledge second to none! With more than 1000 happy customers under our belt, you can rest assured that Displays Direct Australia offers superior solutions. Our experienced staff will work closely with you to create the right exhibition display solution for your business requirements. We keep our most popular products constantly in stock, which is why we are often able to offer fast turnaround times. To ensure that your display lasts event after event, we use only the best quality and most durable materials in their construction. We offer a wide range of quality products and are constantly on the look out for new and exciting options that wow our customers. 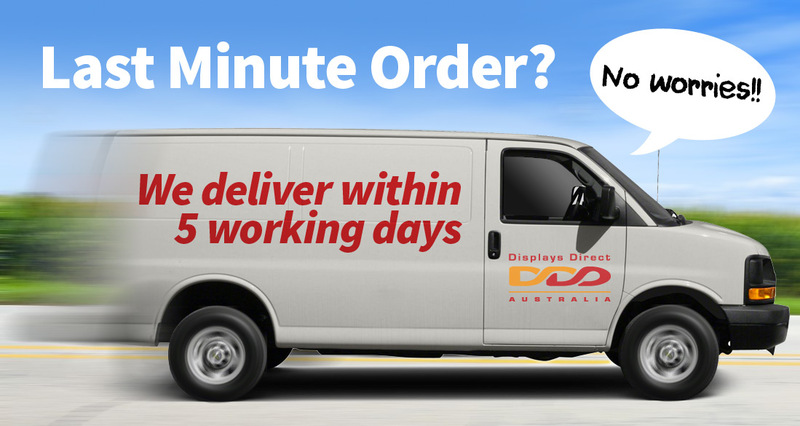 Displays Direct Australia is committed to providing display solutions that are easy to set-up and take down, by either one or two people. 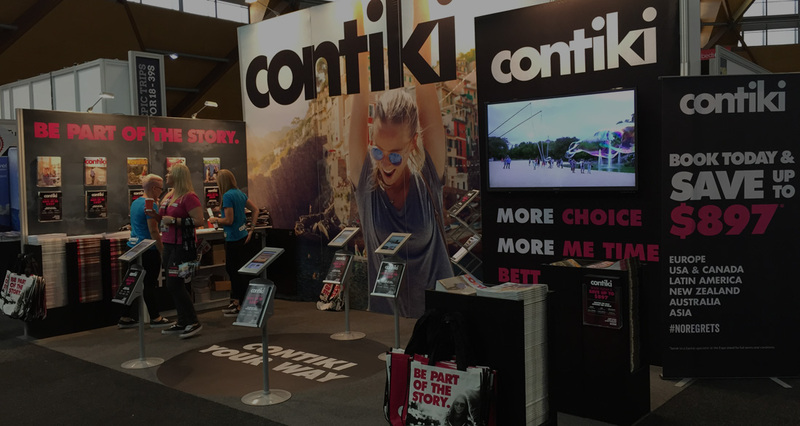 We offer everything from simple off-the-shelf displays to a complete turn key solutions for customised exhibition displays. 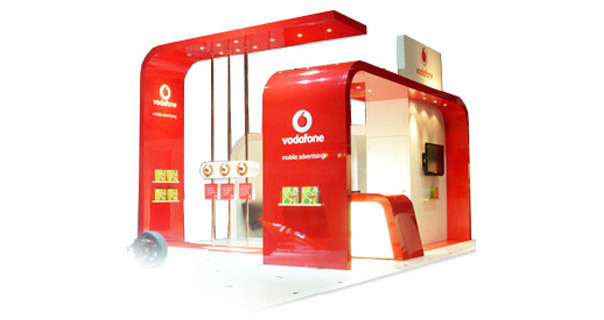 Ensure that you stand out from the competition with custom trade show displays. 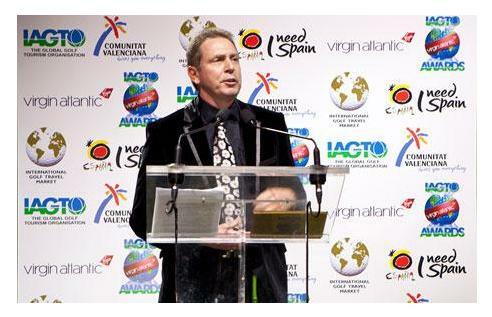 When presenting at a trade show or event, ensuring that you’re noticed is key to your success. 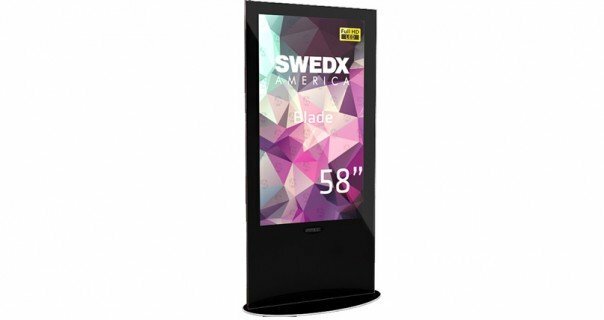 Our displays can be used for a variety of applications, including: media walls, foyer display stands and press backdrops. 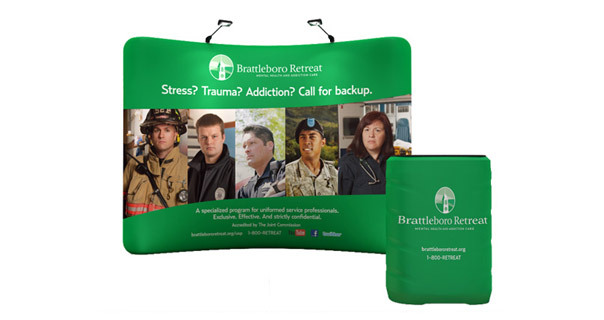 All of our custom trade show stands are completely portable, ensuring that you can use them at multiple events with ease. 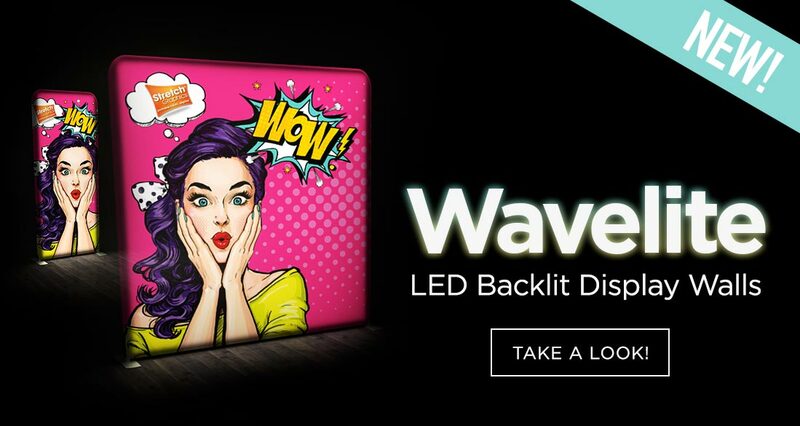 Each comes with a wheeled case or bag, enabling you to fold the frame and high resolution graphic up compactly for transportation and storage. 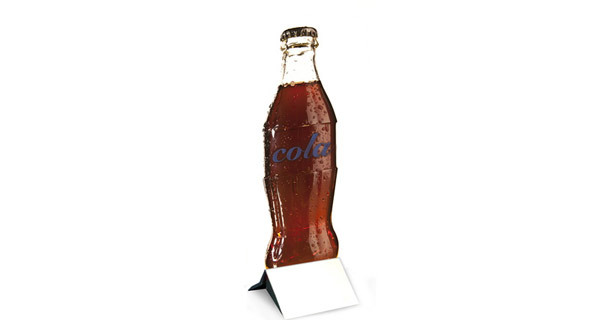 Custom pop up displays are ideal for press conferences, trade shows, retail displays and other events. 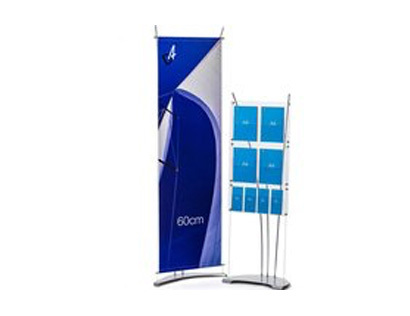 Our custom retractable banners are highly affordable and come in many sizes (our most popular being 85cm wide by 200cm tall), ensuring that you can obtain the perfect banner for your needs without breaking the bank. 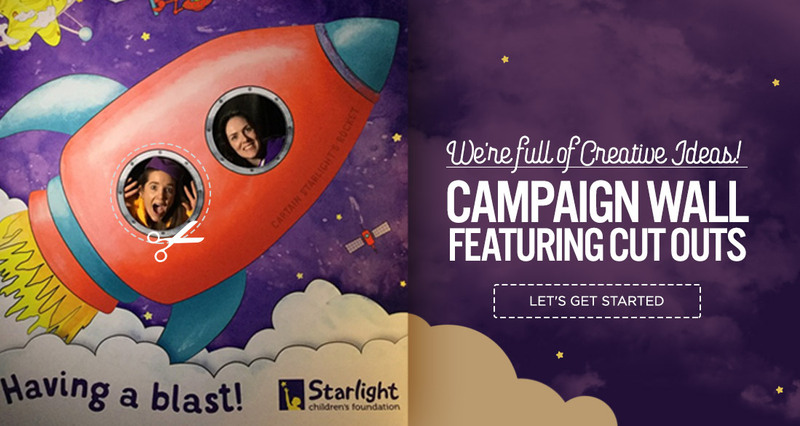 All of our custom pull up banners come fully fitted with high resolution digital graphics, which ensures that your images are clear and your colours vibrant. Our graphics are also incredibly long lasting, easy to maintain and can be re-skinned should your marketing message change. 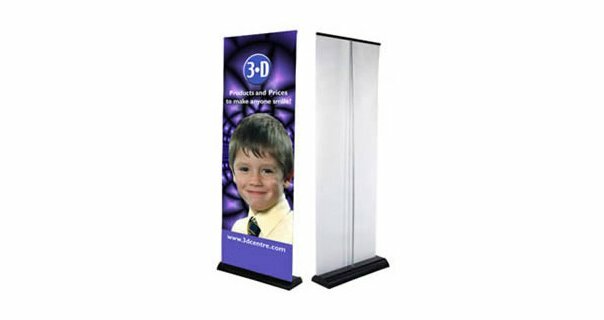 Want custom exhibition stands that are as unique as your business? You’ve come to the right place! We are committed to providing a complete turn-key service, which means that we manage clients’ custom built expo stands from start to finish. 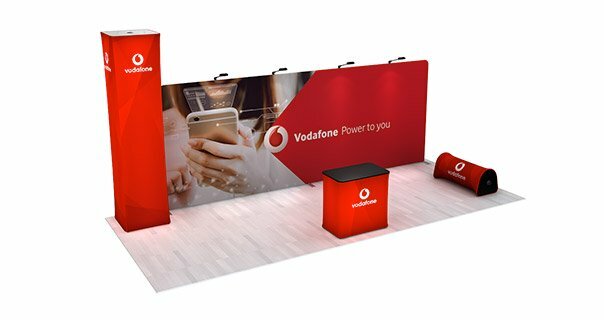 Our service includes the custom exhibition stand design, build graphics, AV, installation, rentals, sales, storage and logistics to ensure that your every need is met. 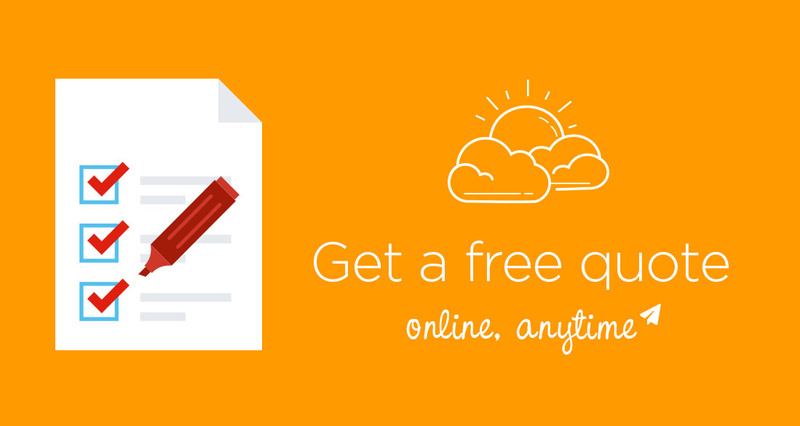 Rest assured that our custom expo stands service will meet your needs perfectly – we take the time to get to know your business, understanding what makes you tick and what you value, to ensure a perfect match. 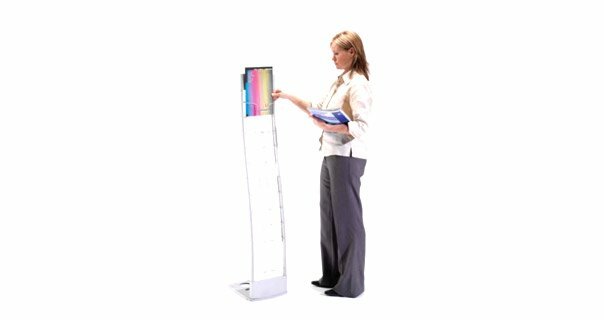 Keep your marketing and informational material organised with carefully selected brochure stands. Our wide variety of brochure holders are available in varying configurations, from front facing to double sided. Most stands have either A4 or A3 pockets, although smaller and larger material can be accommodated. 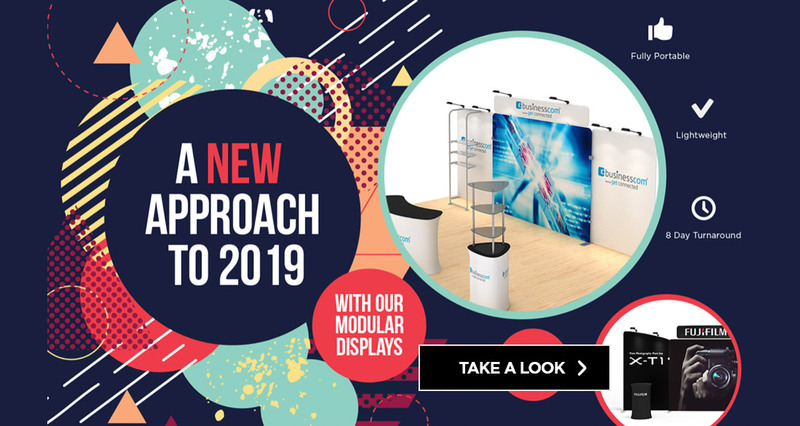 Not only are our brochure display stands very aesthetically pleasing (being available in a range of materials and designs), they’re also incredibly lightweight and portable. This means that they can easily be taken between events and trade shows, as well as being used in the workplace. 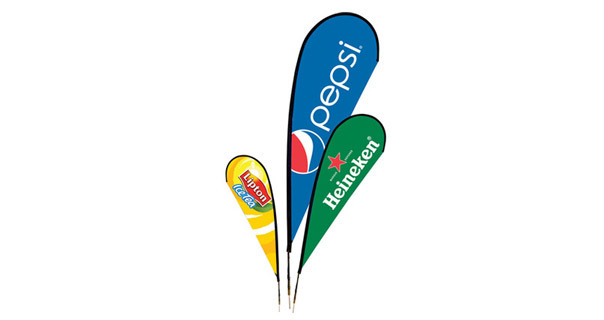 Ensure maximum exposure for your brand with custom outdoor banners and custom promotional flags. A custom outdoor display can be used in many applications, from the forecourt of a car dealership to the footpath in front of a store. When choosing custom advertising banners, however, it is important that you have selected those specifically designed for outdoor use to ensure their longevity. We have many types of custom flying banners and flags to choose from, including: feather, teardrop, tornado, windancer, rectangular and jumbo. Our banners can be double or single sided depending on your needs. Never be without a suitable work surface again thanks to our range of custom portable counters. When presenting at a trade show or event, we understand that a counter is sometimes required for displaying products or holding promotional material. We even offer custom iPad counters so that you can make your booth interactive without the fear that your device will be damaged or stolen. Our counters are available in a variety of sizes and configurations; many even include an internal shelf for additional booth storage. 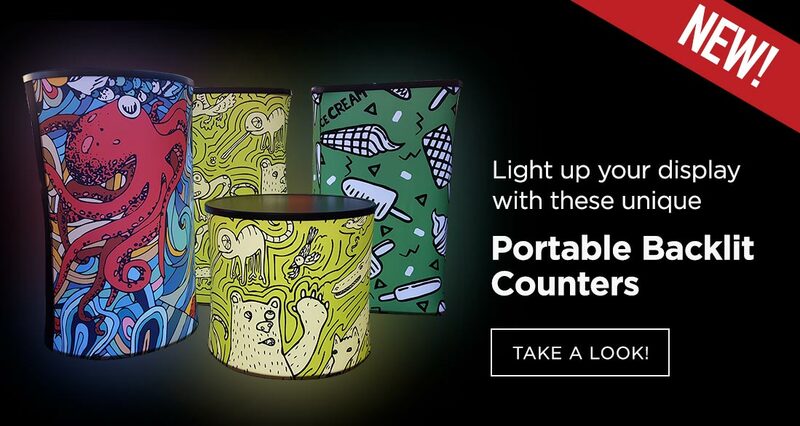 All of them with a high resolution digital graphic that ties the whole look together.